Travelling down into the Old Village from Locks hill past the village green on the left (not in the photo). You will notice the old barn on the right angle bend at the bottom of the hill, this corner often caused problems when two buses met. The barn has long since been demolished and a better corner installed - but this is how most of us remember it. 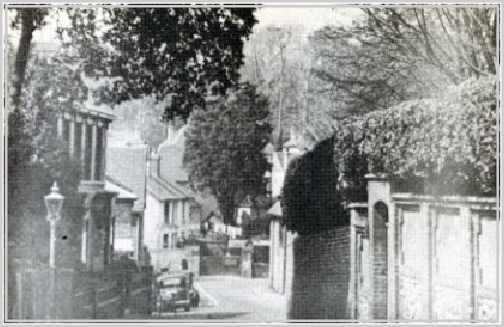 Exit from the Old Village up the hill (High Street) and on towards Mile Oak. 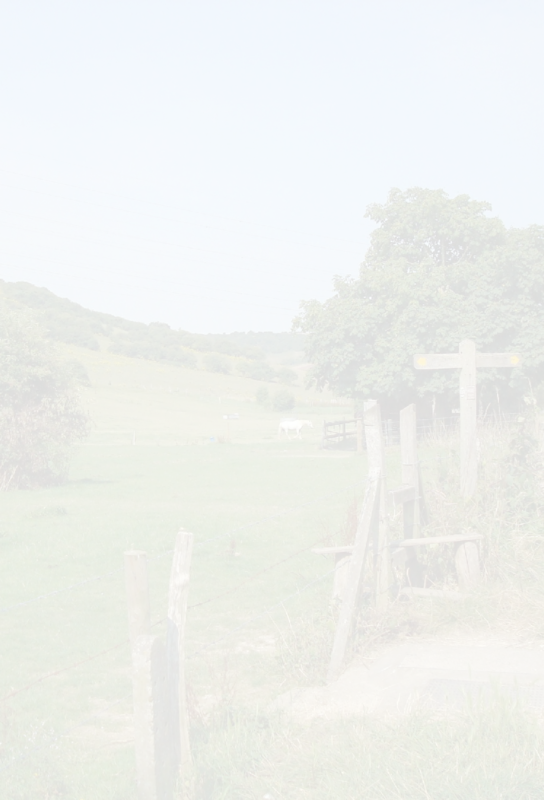 You will note that where Valley Road now starts is the unmade road that many of us walked up as the beginning of the walk through the valley to Mile Oak. 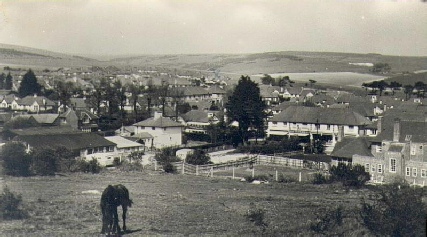 The George pub is on the right and just out of the photograph is the Stag public house. 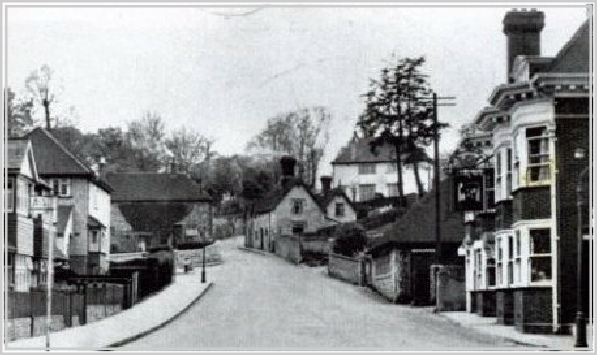 We will all remember the cottages at the foot of the hill and the bend that caused many a bus to stop when meeting another coming down the hill.